This trio of theatres represented the zenith of opulence in movie theatre design during the twenties. Whereas the Metropolitan went for an over-the-top Egyptian theme, the State was more restrained, yet ornate, with lobby antique furniture brought in from the Vanderbuilt estate. Then there was the Majestic, the third such theatre that Hoblitzelle built in Houston, and is rightly considered to be the greatest movie theatre ever built in the city. Credit for this largely rests with the vision of architect John Eberson, whose design was not of a theatre interior at all, but an outdoor garden of some exotic, far-away locale with a starlit sky overhead  set within the conventional indoor auditorium. The Mediterranean blue ceiling, inset with twinkling lights, featured clouds that floated lazily over the heads of the audience. This was the worlds first atmospheric movie theatre. Of course, there were other grand movie houses in the city. Across the street from the Metropolitan and Loews State, one block down, was the Kirby Theatre. 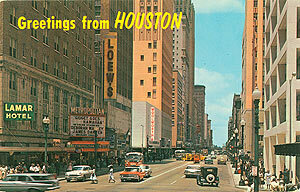 Other tdowntown theatres included the Ritz, Rialto, Texan, Iris, Isis, Liberty, Cozy, and Queen. Most all of these theatres are now gone, excepting the Ritz/Majestic Metro. Remnants of the original Isis theatre still remain, although the theatre itself is no longer there. Main street in 1961, with Loews State and the Metropolitan theatres to the left. 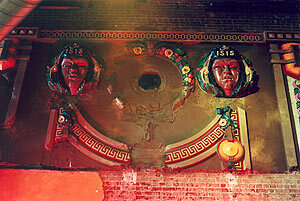 The former 1912 Isis Theatre, reopened as the Mercantile Brewery in 2000, with the upper-wall ornamentation still intact. The brewery has since closed. 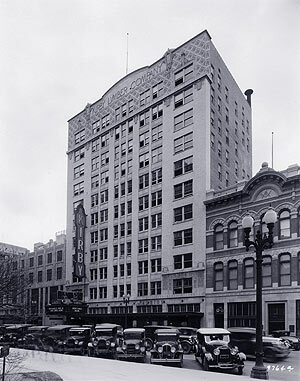 The Kirby Theatre, at 911 Main, was simple but refined, a major contrast to the neighboring Metropolitan and LoewŽs State. 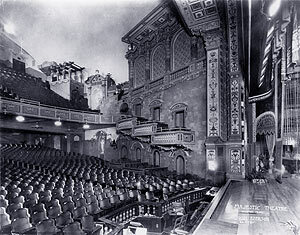 All three theatres were built during a 10-month period, from December 1926 to October 1927. Photo courtesy Houston Endowment Inc. When the original Cozy proved to be too small, M.F. Foster decided to build a larger showplace. 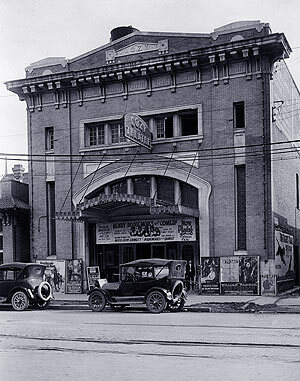 The new Cozy Theatre, at 1112 Texas Avenue, became one of the early prides of theatregoing in Houston, ranking with the Majestic, Isis, Queen, and Travis as a solid entertainment venue. 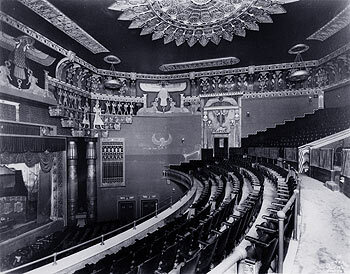 The 1923 Majestic interior. 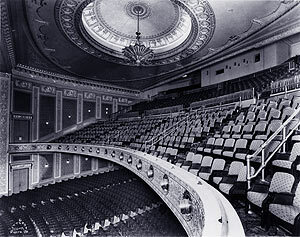 Unique to John Ebersons auditorium design were side walls of completely different shape and influence. Above it all was his trademark atmospheric blue ceiling. The Loews State balcony. Clearly in view is the 23-foot-diameter dome supporting the Czechoslovakian chandelier. Around the base of the dome are thousands of concealed electric lights.